In Need of CPR and Bail Money - Hypothetically Speaking . . . Hypothetically Speaking . . . 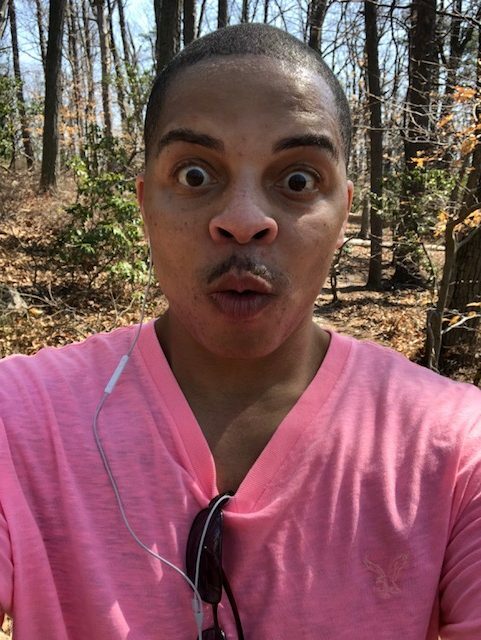 Hiking!?!?!?! What was I thinking? So, we are finally starting to experience some of the warmer weather that comes along with spring. 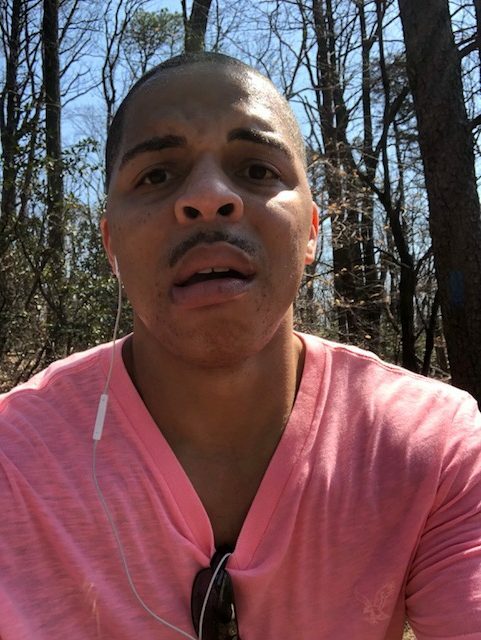 Although I didn’t do as many push-ups as I had intended during the winter months, as soon as the temperature reached 70 degrees, I was the first person to rip off my shirt and my Spanx. Perhaps I shouldn’t have done it in the middle of aisle 15 at Walmart, but having the security team chase me through the toy section and then taze me repeatedly in the electronics section allowed me to finally check that off my bucket list. Since the first really nice day of 2018 took place on a Friday, like most people, I had to make a life decision and choose whether I would be a grown-up and go in to work (yuck), or pretend to be sick. You should have seen me practicing my cough routine. I even practiced wheezing on cue while placing my thermometer under hot water. I then had to Google whether a reading of 369.1 was reasonable for humans or not. In the end I decided to just go with it. If someone questioned it, they could Google it themselves. That’s part of the problem with today’s society. Everyone wants a quick answer. Do the research! For the sake of being thorough, I even went so far as taking a stool sample because I’ve never been denied a sick day when I’ve plopped a Ziploc bag of . . . umm . . . a Ziploc bag of “Michael” on my manager’s desk, right there beside her morning bagel. For the sake of argument, I then ask my manager for her thoughts on the sample. How does she feel about the color? What does she think about the consistency? How would she rank the specimen in relation to all the other samples she’d analyzed that day? Since we work in accounting, my manager typically doesn’t have to analyze a ton of stool samples. However, it really just depends on the day. I mean, my manager has a boss too. If her boss walks into the office and demands a prostate exam right there on the spot, my manager has to do what she has to do. It doesn’t even matter that her boss is a female. Sometimes she still wants her prostate and testosterone levels checked. But I digress. My stool sample usually gets me the day off with no problems and no further questions asked. Feel free to use this technique whenever you feel necessary. You can make it even more effective if you leave the sample on your boss’ desk while you slowly back out of the office. If they tell you that you’ve left something behind, just let him or her know that you want to leave them with a little something to think about. 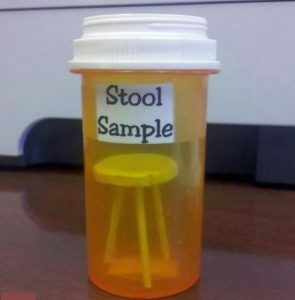 Not exactly the stool sample I was referring to, but close enough. Anyway, you’ll be happy to know that I chose to go in to work that Friday. After all, I’m a professional. However, I only worked the full day because I somehow lost my stool sample on the Metro on the way to the office. I’m not sure what happened. The only thing I remember is that I had it in my hand, fell asleep, and when I woke up it was gone. Perhaps someone else had the same idea as I had and they slapped my stool sample on their manager’s desk and demanded to be sent home. Glad I could help. 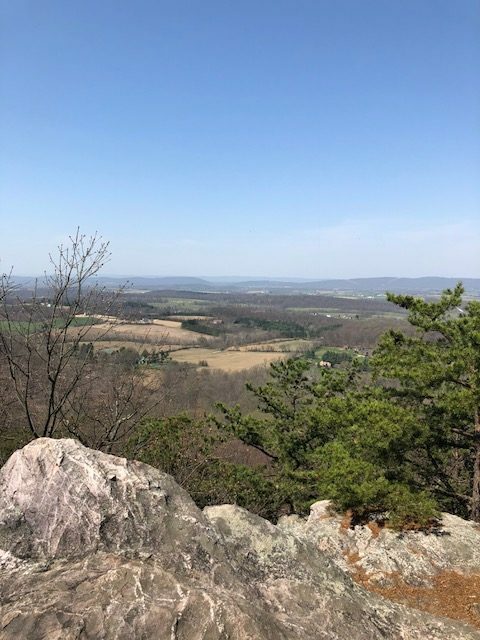 Because the following Saturday was warm as well, I woke up after months of inactivity and somehow decided to go straight into a 5-mile hike on one of the Sugarloaf Mountain trails not too far from my house. Of course, there were 99 problems with that decision, and my lack of ability to read a map should have been the first sign that this wasn’t the smartest choice I’d made in life. Fortunately, my GPS is portable, so I just let Garmin lead the way. Another fault in my plan was that I embarked on the journey without doing a single stretch or any other form of warm-up exercise. There was literally no prep work involved. I also hit the trail without having any drinking water on me, which was a terrible idea in case I happened upon a thirsty deer or polar bear along the way. Most importantly, I forgot to pack a back-up battery in case my iPhone or GPS died. Let’s just chalk that up to bad planning on my part. So, there I was on the mountain, in tennis shoes, flopping over fallen trees and stumbling over rocks—and that was all before I actually started the hike. After spending an hour trying to find the entrance to the trail, I decided to follow some random guys with biker jackets and tattoos into the woods. If I ran into trouble, I figured these guys would be more than happy to help. However, because I’m respectful, I decided to throw on my headphones and turn the volume up so that I wouldn’t overhear any of their plans to rob unsuspecting hikers along the trail. I mean, if Katie Couric or Robin Roberts ever called to ask what happened on the trail that fateful day, I wanted to be able to honestly answer that I knew nothing. Besides not hearing the bikers’ robbery plans, the loud music seemed to be a good idea in case there were any angry foxes or rabbits out there on the trail. I believe it was Joel Osteen who once said, “If you can’t hear it, it clearly isn’t happening.” I think it’s completely appropriate to ignore a hungry wolf because you’re listening to Drake or Adele. In my opinion, the wolf can wait until I’ve finished singing along to “Someone Like You.” Sometimes you just have to know what’s most important in the moment. Because I hadn’t exercised or stretched much before hitting the trail, I wasn’t able to keep up with the bikers. Maybe this was a good thing. After all, I hadn’t even introduced myself or asked them if they were killers or not. You’d be amazed at how many bad guys I’ve avoided simply by introducing myself, shaking their hands, and asking if they had bad intentions. Feel free to try this at home. Someone please send help ASAP!!!! After hiking for what I’d thought had been hours, I looked down at my phone to see that I’d only been on the trail for three minutes. Exhausted, I stopped to take a break. It was then that I heard the scream. As I turned toward the direction of the commotion, I was surprised to see that the bikers weren’t involved at all. Instead, a woman appeared to have been attacked by a rogue tree trunk that had reached out and grabbed ahold of her ankle. My inner superhero had been waiting my whole life for a moment like this. Finally, here was my opportunity to save the day. Immediately, I dove into action and ran in slow motion over to the woman who was struggling to get her footing. Because she was laughing when I reached her, I thought she was clearly disoriented, so I pushed her down and asked if she needed help. Because I knew the potential severity of the situation, I didn’t bother waiting for her response. I knew what needed to be done, and nothing was going to stop me from helping a poor damsel in distress. To my surprise, the damsel slapped me a few times as I mounted her and prepared to give her mouth-to-mouth resuscitation. Instinctively, I knew she was having trouble determining whether I was a friend or foe. After all, I didn’t have on my superhero costume, which I had left in the car for safekeeping. It was no wonder that she was confused. She continued to scream while I tried to inform her not to worry because I was certified in CPR. Clearly, she was in distress, so who knows what was going through her head at the time. I can only imagine. As I held her down to administer CPR, I realized someone was behind me karate chopping me in the back of my head. Assuming the karate chops were coming from the rogue tree trunk that had grabbed the woman’s ankle, I leaned in and told the woman to stay calm as I tried not to black out. In that moment I wondered what would Oprah or Ellen do. I looked into the woman’s frightened eyes, stroked her face, and hoped that she knew I wouldn’t let anything bad happen to her. That was the last thing I remember. When I came to, I was surprised to find that I was in handcuffs in the back of a police car. An officer explained to me that while I thought I was being attacked by a tree trunk, I was actually being karate chopped by the woman’s husband. Apparently, he reported that his wife had simply tripped before I pushed her down and attacked her. I calmly explained that I was trained in CPR and my instincts to protect and serve had kicked in. I had seen a person in need, so I innocently tried to help. As it turns out, the “poor damsel in distress” was really a paramedic and her husband was a neurosurgeon. From their perspective, they didn’t need my help in that moment, which I think is a bit shortsighted on their part. Maybe my one day of CPR training isn’t exactly equivalent to the neurosurgeon’s 12 years of college or the paramedic’s 20 years of work experience, but that doesn’t mean I couldn’t have saved the woman’s life if there had been a real emergency. I had simply misjudged the situation. Whoops. In any case, I share this story, not to brag because I spent 20 minutes on a Saturday doing unspeakable things to a CPR manikin that really could have used a mint . . . or a Life Saver, but to emphasize the one step I forgot from my training, which was to make sure that the person you are trying to administer mouth-to-mouth to actually needs your help. When you skip that crucial step, terms like “assault” and “lawsuit” get thrown around. Learn from my mistakes. 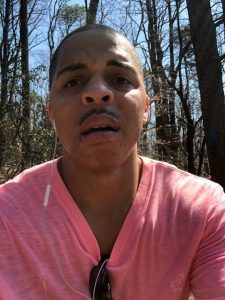 I share these life lessons with you so that you won’t have to learn the hard way. By the way, please send bail money ASAP.